EASY & EFFICIENT OPERATION: Sets up in seconds for immediate use out of the box and features an optional automatic timer that shuts off the unit after 2, 4, or 8 hours of continuous use to promote energy efficiency. 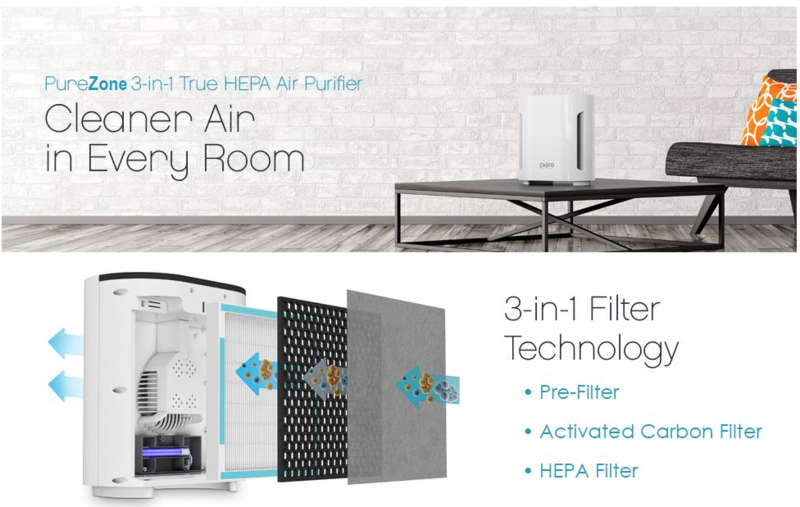 3-in-1 Filter: Combines the power of a pre-filter, activated carbon filter, and HEPA filter into one. UV-C Light: Adds a deeper level of air sanitation by safely eliminating germs, viruses and bacteria. Automatic Timer: Shuts off the unit after 2, 4 or 8 hours of continuous operation. 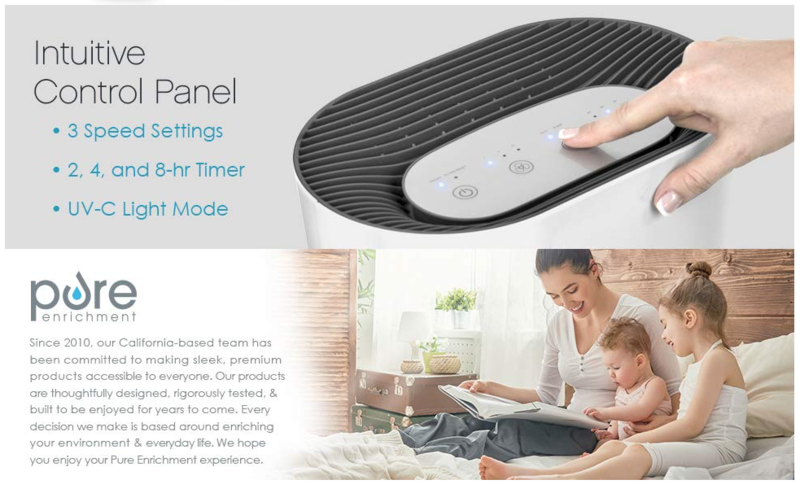 3-Speed Fan: Offers adjustable low, medium, and high settings to better accommodate the needs of the room. Filter Reset Indicator: Lets you know when it's time to change the filter. Whisper-Quiet Operation: So quiet, you won't even know it's in the room.